Vernon’s Choice For Amazing BBQ! See A Selection Of Images From Our Gallery Today! 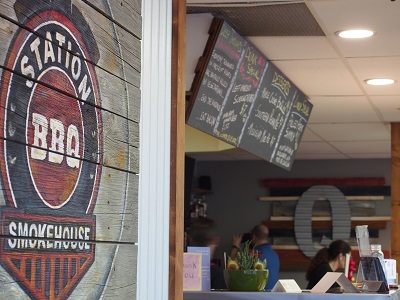 Welcome to Station BBQ Vernon! The Okanagan Valley has welcomed us into their hungry world with encouragement and positive reviews and we felt the love all the way up to our ribs. We have served thousands of meals to hundreds of people – many we never knew before but are now good friends. Meanwhile, we have been fortunate to find amazing, talented people to work with us and several staff members have been here the entire time. The result? Well that’s the other side of the people story. Customers! In our first year we have been blessed with many. We can tell you dozens of entertaining stories about how people from around the world managed to find us. 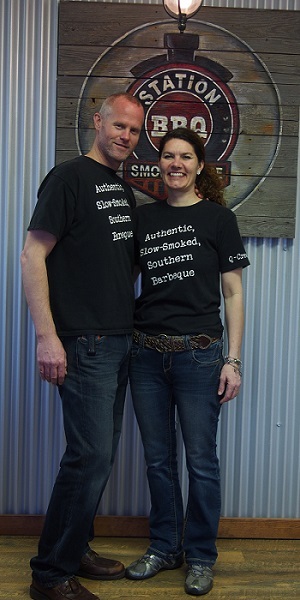 Australians who loved our food, returned home and told their friends to come to Vernon for brisket and ribs. So they did! Stories about how much some folks would pay to buy a bottle of our after-burner sauce or an entire mud pie desert, even though they are not for sale. About winning two of three awards in the 2015 Vernon Chili Cook Off contest on Valentine’s Day – our busiest day ever! About teaching a group of Edmonton Army personnel how to use a smoker. Yes, we’ve worked our briskets off this first year and we’ve had plenty of fun doing it. So our on-going goal for the years to come is to continue smoking, drinking up good stories and serving passionate, wholesome food to incredible people from around the world. Hope we see you soon! Click here to check out our lunch specials! Click here to check out our Fab Friday lunch specials!